Top 6 questions doctors ask when filing for Social Security | Meld Financial, Inc.
Physicians and other high earners often overlook their Social Security benefits. As a physician, you’ve spent your entire career taking care of others. When you start to think about retirement, your focus must shift from looking out for your patients’ well-being to looking out for your own. This transition can be especially difficult for those in highly demanding occupations, like doctors and health care providers, particularly when it comes to the intricacies of claiming Social Security benefits. To help, we’ve pulled together answers to some of the top questions physicians ask when filing for Social Security. 1. 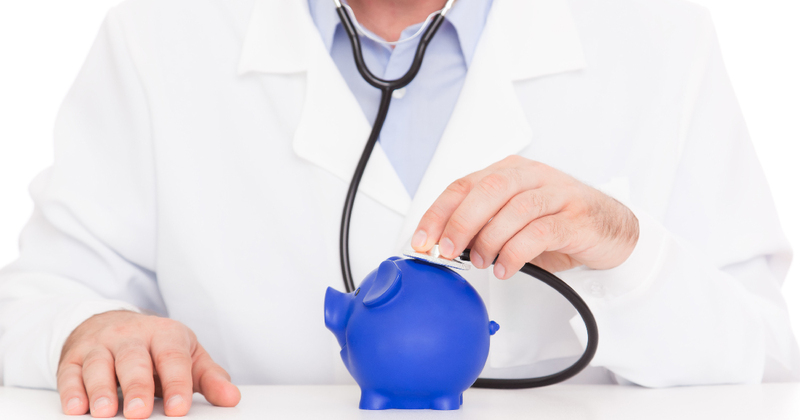 When should doctors take Social Security? There are two options when it comes to cashing in on your Social Security benefits: You can take it early, starting at age 62, or you can wait until you’ve reached full retirement age (FRA), either 66 or 67 depending on when you were born. When you take Social Security early, you agree to receive less money each month. Those who argue in favor of early retirement typically claim they’re better off taking what they can, while they can, because you never know how long you’ll live. When you take Social Security at your FRA, you receive your full amount every month. Those who choose that option typically say they prefer working a few more years in exchange for a larger monthly income stream when they’re ready to step away from their practice. And here’s an extra bonus: Social Security increases your payout by 8 percent for each year you wait after FRA, up until age 70. That’s a potential increase of 32 percent — which can go a long way once you retire. 2. I applied for early Social Security benefits, and now I regret it. What can I do? All is not lost. The best-case scenario is that you realized your mistake quickly. If it’s been less than a year since you applied, you can quite literally take it back. All you need to do is pay back all the benefits you received, and then, you’re free to apply again at any time. On the other hand, if it’s been more than 12 months since you’ve applied for early benefits, your choices aren’t as good. But, you still have options. Once you have reached FRA, your full benefits may no longer be available. But, you may be able to get more than what early retirement would have provided. Simply suspend your benefits and you will start to accrue the 8 percent per year increase that comes when you pass retirement age. That will help build your benefits back up for when you are ready to take them. 3. What happens if I keep working after I take Social Security benefits? This is a common question we receive from healthcare professionals. You’ve hit retirement age, but you aren’t ready to retire. How will my benefits be impacted if I continue working while receiving Social Security benefits? If you earn more than the earnings threshold — $17,040 in 2018 — and have not yet hit FRA, the government will withhold $1 of benefits for every $2 you earn over that threshold. If your earnings far exceed that threshold, all your benefits can be withheld. But don’t let that dissuade you from working. When you hit FRA, the earnings limit disappears, and your monthly payment will be recalculated, increasing your benefits going forward. Then, when you’re finally ready to retire from your practice, your financial outlook will be even brighter. 4. Can I receive a Social Security benefit based on my spouse’s work record? The short answer is, “it depends.” Spouses are eligible for 50 percent of their husband or wife’s benefits, but there are a few other factors at play. First, your spouse must be receiving benefits for you to be eligible. You must also wait until FRA to apply. Even then, you’re only eligible to receive the spousal benefit if it’s higher than your own benefit. In short, you cannot take advantage of both the spousal benefit and your own Social Security benefits. It’s one or the other, but always the higher of the two. 5. I’m divorced. Can I collect Social Security benefits off my ex’s record? Although physicians generally have a divorce rate lower than the national average, the rate is still near 25%. So, we are often asked: can I collect Social Security benefits from an ex? First, if your marriage lasted 10 years or longer and you are currently not married, you are eligible for spousal benefits. Your ex must be at least 62 years old, and if you’ve been divorced longer than two years, he or she doesn’t need to have filed for you to make a claim. Also, you’re only eligible to receive benefits from your ex if half of his or her benefits is greater than your own Social Security benefits. Furthermore, you cannot take advantage of both. 6. My spouse has died. When can I apply for a Social Security Survivor Benefit? If your spouse has died, you can claim your Social Security Survivor Benefits as early as age 60. The benefits will be reduced if claimed before you’ve hit FRA, but this is a good option if you were largely dependent on your spouse for income. One planning option to consider is the spouse with the highest earnings wait to claim his or her benefits until age 70 when possible. This leaves the surviving spouse with more security should tragedy strike. While we don’t intend for this list to be your final stop in the quest to maximize your Social Security benefits, we hope it was an excellent start. To learn more about Social Security benefits, visit Meld University and our School of Social Security & Medicare where we have compiled an abundance of useful information on this topic. Additionally, you can always find the most up-to-date information at the official Social Security website.